It’s a great spot they always have what I need. The staff is both friendly and very knowledgeable. I’m so glad that there’s A nice convenient place close to my home. Cool spot, I was traveling across town to another rec shop until I stumbled upon this pot of gold. Staff is super inviting , relaxed and bring options. Looking forward to just making a full transition and keeping this as my home store. Keep it up y’all! I love this place its a drive from my house but i dont mind it because the budtenders Jonathan and Meagan are very knowledgeable about there products and what i am looking for i have never left this place upset or feel like i just bought some bad bud.Keep up the good work and i recommend this place to any body you will be satisfied with the customer servics and quality of weed. 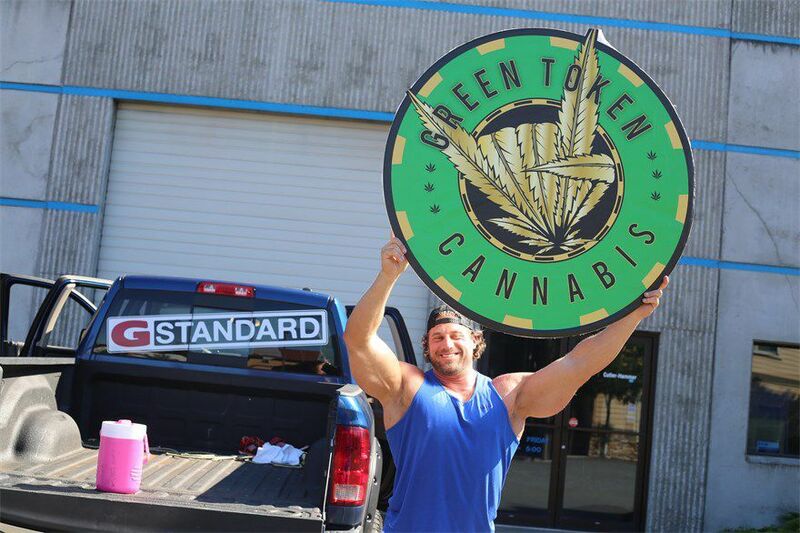 Green Token is located in a part of North Tacoma that sorely needed a store. Finally, folks in the north end don't need to trek down to 6th ave. Right down the street from me! Awesome product variety and selection, great store set up, warm and inviting environment, great prices and deals, and top notch customer service. I just left my first visit there 5 minutes ago and am so thrilled that the first thing I have done upon returning home is sign in here to give them the best review possible. I recommend to anyone, even if not close by, and will definitely be returning! Fantastic store and staff! I live right down the street and just came across a new shop in our area! I was so excited i went to come visit and to my suprise i will never go anywhere else!!! I was greeted with smiles and the budtenders were so awesome and caring they knew exactly what to find for me that 1, was totally some fire and 2, the prices in here are amazing!! Even the higher end bud was decently priced and as long as you guys stay at this location and keep your amazing staff and customer service ill be shopping at green token from now on!!! No more hassle of the drive to 6th ave shops, im so happy!